Receive email, SMS, and push notifications. White label apps for your clients and vendors. Accept payments and analyze your reports. Submit data, even if you're offline. Customize mobile screens and repeated actions. 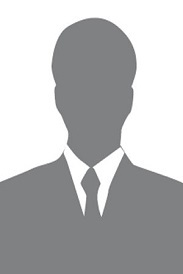 Collect 31 types of information, such as barcodes, location coordinates, or files. Make fewer errors by looking up, pre-filling, and validating data instantly. Stay on top of deadlines with calendar, timeline, and kanban views. Make single-click buttons perform calculations and other custom actions. Schedule routine tasks, so you can prioritize what's important. Add users and permit them to access, edit, and modify relevant app components. Control what users see and do based on hierarchy, or even location. Create self-service portals on your app for customers and vendors. Personalize your portal with a logo and domain. Import Excel data or convert a Google Sheet into an app, in a click. Run your MS Access or your Filemaker databases through our migration tool. Using a legacy system? Send us an email, and we'll get you up on a modern platform. Create multiple apps and share information between them. Exploit pre-built integrations with Zoho services including CRM, Books, and Invoice. Use simple Deluge script blocks to link popular services like Paypal, Salesforce, Quickbooks, Zapier, etc. Connect to a wide variety of cloud services with our REST API. Q. WHEN WILL YOU START CHARGING ME? At the end of the Free Trial period, you can upgrade your account to a paid plan to continue using all the features. Once you upgrade, you will be charged based on your plan and we will send you an invoice. At Zoho, we are fervent about data security. We have developed a comprehensive set of practices, technologies, and policies to ensure your data is secure. Read more about our security policies. Q. HOW DOES THE 15-DAY FREE TRIAL WORK? 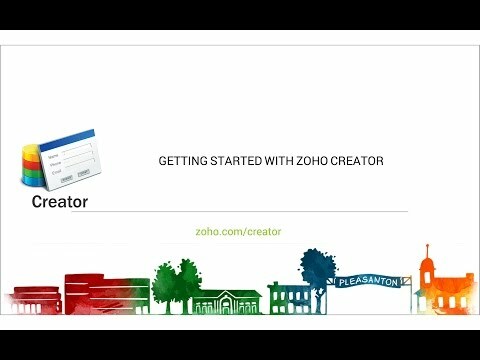 After you sign up for the trial, you can access all the premium features of Zoho Creator free for 15 days. After the 15-day fully-featured trial you will be moved to our Free Plan. You will still be able to use your apps and your data will not be lost. Q. HOW LONG CAN I USE THE FREE PLAN? You can stay in the Free Plan as long as you wish with limited access to premium features. If you would like to access the premium features, you can upgrade your account anytime. Q. WHAT IF I NEED TO INCREASE THE LIMITS OF MY PLAN? You can upgrade to a plan that has higher limits. Or you can buy more users for your existing plan, which will increase the limits. The software is easy to pick up and build simple applications or customize pre-made application to suit your needs. But also you can build some complex applications, don't be fooled. We use the software daily in a large corporate environment for various tasks such as a sales lead contact directory by modifying a pre-made application and also we built a ground-up application for a service ticketing system/workflow management. The software is easy to use, very cost effective and provides dynamic customization. It is flexible and offers numerous features. It also provides the user with options to change database color themes and customize the views by combining HTML code and deluge script. All of this combined with great customer support makes Zoho creator the best bpm software in the market.